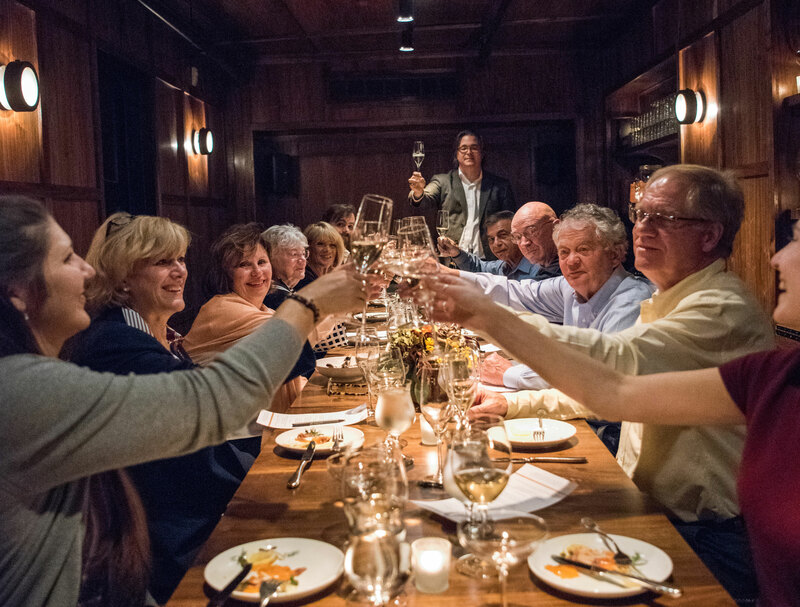 It’s a wonderful time to be celebrating Thanksgiving – Charlottesville Wine & Country style. From sports and holiday celebrations to special shopping events, there is plenty to do in and around town to welcome the holiday season. 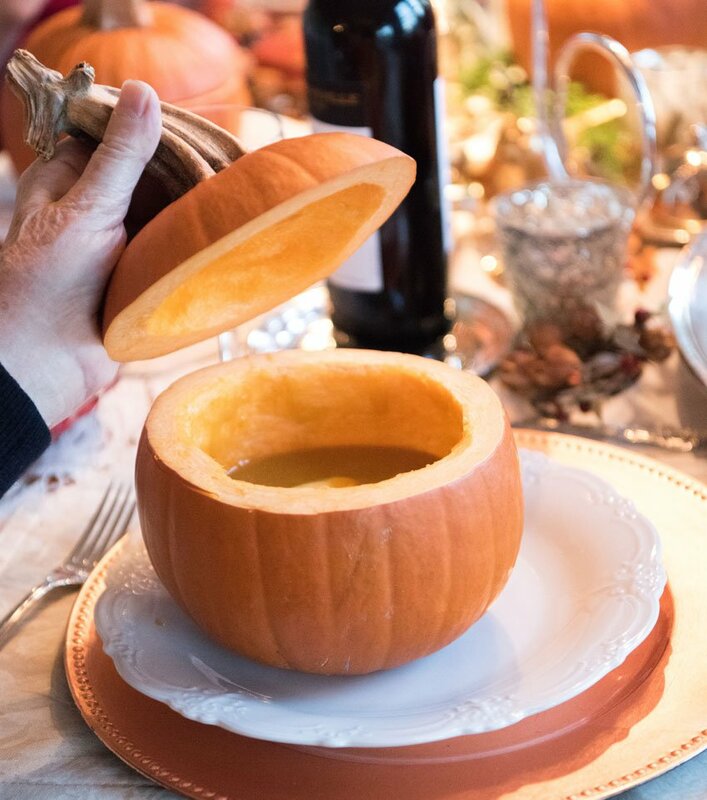 Our favorite Thanksgiving tip: Serve made-from-scratch butternut squash soup inside small pumpkins! This is a holiday tradition that gets everyone talking and excited for the beautiful Thanksgiving meal to come. Popular “work it off” Ideas: To work off those Thanksgiving feast calories, these runs are always a great way to connect with the community and support wonderful causes. A few to consider are the “Earlysville Turkey Trot 2018” and the Madison County “Turkey Trot 5K and Senior/Stroller 2K Walk,” both on Thursday, November 22, as well as the “Be Thankful 5K” at Bold Rock Hard Cider’s Nellysford location on Friday, November 23. Grand Illuminations: These delightful outdoor ceremonies showcase some beloved parts of town and include holiday activities and fun. This weekend, you can enjoy the “Grand Illumination at Boar’s Head Resort” on Friday, November 23. 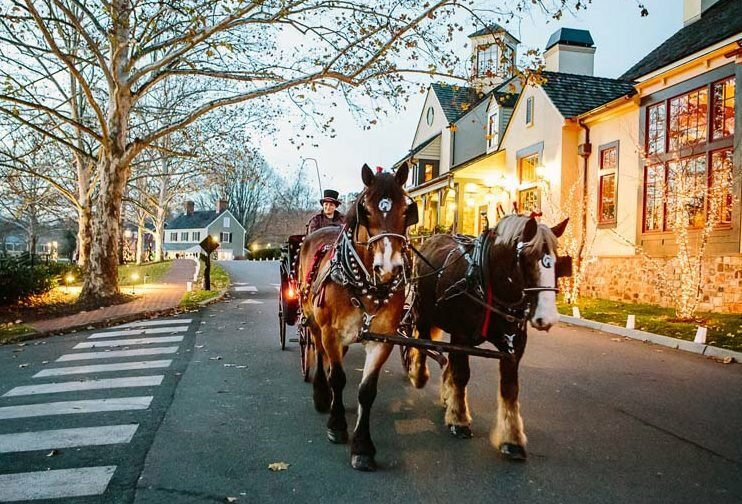 This free event includes horse-drawn carriage rides, hot chocolate and, of course, a tree-lighting ceremony. Be sure to also save the date for “Charlottesville’s Grand Illumination” on the Charlottesville Downtown Mall on Friday, November 30. If you are ready to have your own grand illumination, many local Christmas tree farms also open this weekend. Here is a guide to local tree farms and markets. The Blessing of the Hounds Tradition: This annual event is held each year on the morning of Thanksgiving Day. Now in its 20th year at Grace Episcopal Church, the event will showcase our local foxhunting tradition and its English origins, as well as include a brief blessing ceremony, with bagpipes, a soloist, hounds and horses. Participants can enjoy cider and donuts and see the beginning of the hunt. 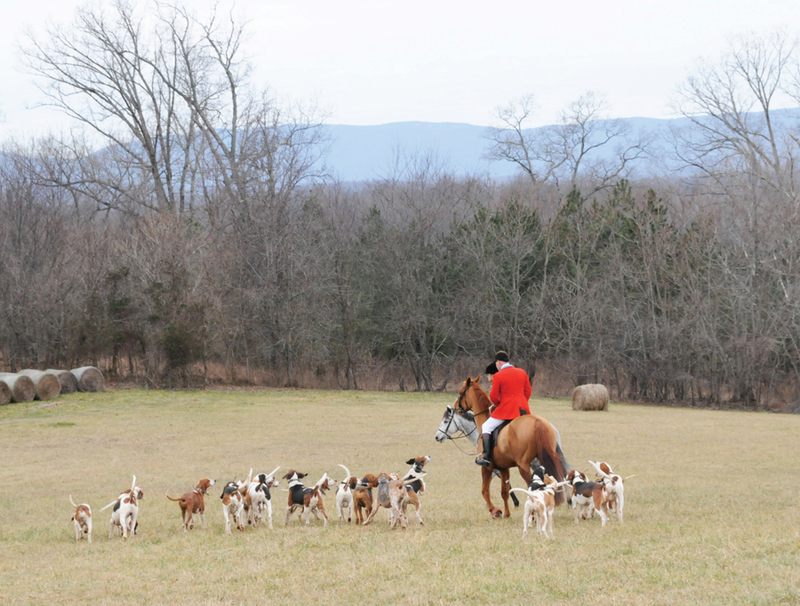 Learn more about the historic sport of foxhunting in Charlottesville Wine & Country Living, Book 1. Shopping Events: If you are ready to get a jumpstart on your holiday shopping, check out fun local shopping events this weekend, including “the Downtown 3-Day Mall Crawl” from Friday, November 23–Sunday, November 25, at the Charlottesville Downtown Mall, Starr Hill Brewery’s “Starr Bazaar” on Saturday, November 24, and Early Mountain Vineyards‘ “Deck the Halls” holiday event on Saturday & Sunday, November 24 & 25. 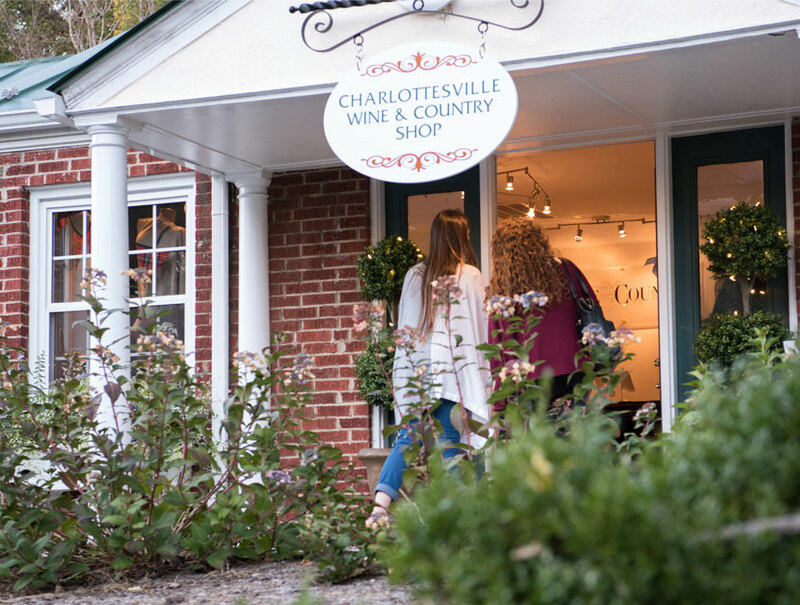 And, of course, you can check out the NEW Charlottesville Wine & Country Shop in Ivy this Wednesday, Friday and Saturday from 11am-5pm for all your holiday needs, from award-winning local wines and artisan foods to gift or add to any holiday celebration, to our beautiful collection of servingware and custom linens. Whether you are traveling for the holiday or will be spending it in our beloved Charlottesville, we wish everyone a safe and happy Thanksgiving and holiday weekend. Be sure to follow our Instagram for a few entertaining and recipe ideas. If you are looking for more local events, you can find an online calendar at our sister publication, Charlottesville Welcome Book.